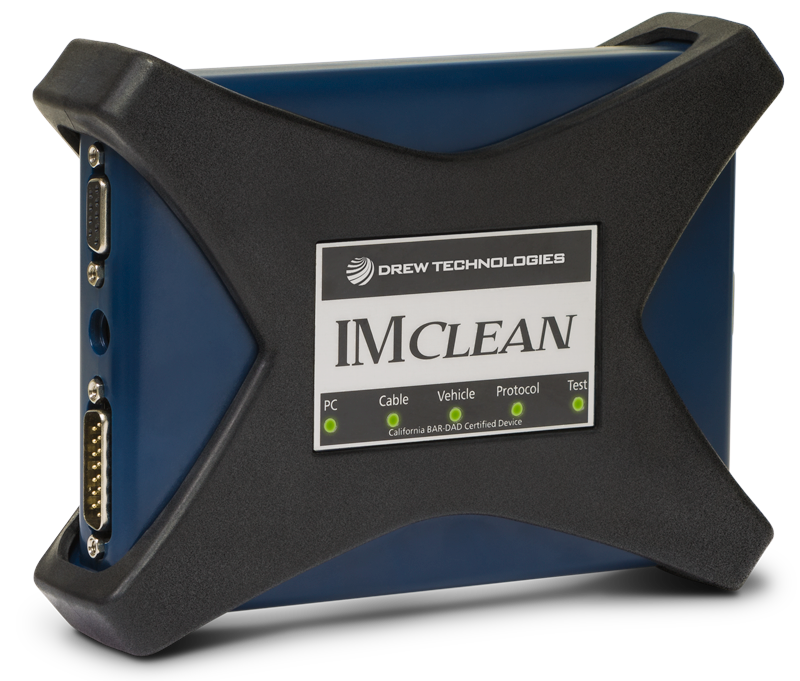 The IMclean® tool from Drew Technologies is an DAD device designed to work with California's BAR-OIS system. It has already passed BAR's stringent certification testing and is in use in over 4,000 smog stations in California. IMclean® DAD device features a 3-year warranty, support for 1996+ model years, heavy-duty cables and connectors, built-in self tester and cable checker, OBDII Generic Diagnostic Scantool software, free updates to meet BAR requirements, automatic firmware download, free Windows help tool and videos, and optional wireless Bluetooth connection supports up to 100 feet line-of-sight with 0 same band interference. If you want additional service, you can sign up for a $20/month service plan that offers overnight warranty replacement of your equipment, priority tech support, and extends the warranty for as long as you keep the service plan. Bluetooth option is also available. Option 1: Purchase just a DAD device. Option 2: Purchase a DAD device and build your own DIY system HERE. Option 3: Rent a complete system from ESP that utilizes the IMclean DAD HERE. Option 4: Drew Technologies has also teamed up with Banalogic for a complete Turn-key package. To see the product page from Banalogic, click HERE. For more sell sheet on the IMclean®, click HERE. • Optional wireless Bluetooth connection supports up to 100 feet!